The nature of organizations has changed, and the leaders they require in the future will be fundamentally different from those they require today. It is time to recreate leadership for the requirements of the modern organization. To do so is a formidable leadership challenge. To successfully meet this challenge we must do two things really, really well: challenge the existing myths of leadership and take an entirely fresh approach to how we develop leadership in our organizations. First, long-established leadership myths must be challenged. Over the past 100 years, a number of unhealthy myths have been created around leadership, which prevents a meaningful conversation about the real issues. 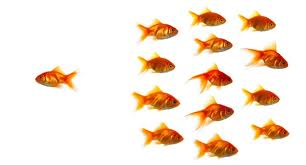 Most organizations stubbornly refuse to look at leadership warts and all. Instead, they pretend that leadership is a sanitized, ego-free activity, ensuring a superficial view of not only what leadership is also what leaders can realistically do. Myth 1: Successful leaders possess all the skills and capabilities to ‘do it all.’ Dangerously, the leader-as-‘all good’ model remains powerfully embedded in our cultures and psyches. 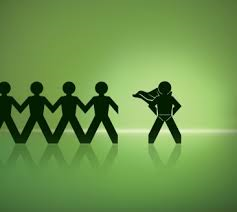 Followers desire to follow a leader who possesses near-perfect, super-hero qualities. This means that our expectations as followers (and board members and shareholders) are often disappointed by reality. If we really are going to develop leaders who are prepared to tackle the challenges of the future, they need to be more rounded – quirks and all. If we are really going to develop leadership in our organizations, we need to tackle our systems of leadership – such that the complements within a leadership team are far more powerful in impact than any one ‘star’ performer. The days of one single leader having it all – and doing it all – are over. Myth 2: Leadership is about competence. Over the last half century the emphasis in leadership research has been on identifying the skills, competencies and attributes required by leaders. This is important, but it is only part of the picture. In my strong opinion, leadership is about who you are as a person in context to that which you are attempting to create, change or solve. In essence, it is how you show up cognitively, socially, emotionally and psychologically given the demands of your role and position. Leadership is about having the psychological awareness and maturity to complement yourself with others who collectively bring value to your organization, industry and the communities in which you serve. I once worked with a senior sales executive who as extraordinary and creating what he called his ‘multiplier effect.’ Better than any leader I’ve had the opportunity to work with and learn from, this leader understood how to deploy capabilities around him. As a result, his sales leadership team consistently met sales revenue targets quarter over quarter – independent of fluctuations in the industry or market. Myth 3: Leadership is easy to learn. Often, leadership is regarded as a set of skills and competencies that can be acquired by sending people to corporate or business school executive education programs. False! In my opinion, leadership involves and is determined by deep psychological factors: the two internal drivers of personality – the directive element which includes the information processing aspects of personality (perception, comprehension, agreement, retention, retrieval, decision making, and action) and the dynamic motivational element, driven by a set of basic human motives such as fear, ambition, desire. True leadership is developed and sustained when leaders work at this level of deep insight. Myth 4: Leadership comes with position. Another important misconception about leadership is rooted in the assumption that people take on the mantle of leadership with relative ease. Again, this is unrealistic. True, some leaders are immediately comfortable in the role. But, others require support, understanding and patience as they practice what it means to be a leader. Placing leaders in situations where failure is high is the best means of developing and testing the mettle of leaders. Tests of viability need to be at the heart of any leadership development activity. There is a final myth and it is one that lies at the heart of leadership development. Indeed, it is the lie upon which the leadership development industry is built. The unspoken reality is that leaders cannot be mass-produced. Yet, modern leadership development is an attempt to mass-produce leaders. How many executive education programs build once and sell too many? As an approach it is fundamentally flawed. Developing leaders is different to developing managers. Arguably, you can take a cookie cutter approach to management tools and techniques – witness the profusion of MBA programs — but I just don’t think it works with leaders. For these reasons modern leadership development hasn’t worked – and in my opinion won’t work. It has failed to produce the caliber and quantity of leaders we require. In 2009, for example, U.S. companies spent an estimated $12 billion (24 percent of their overall training budgets) on leadership development. Yet despite this huge investment, nearly 60 percent of companies report that they face leadership talent shortages that will impede performance in the next few years. What’s even more alarming for most companies is that nearly 40 percent of their homegrown “high potential leaders” – the people they are spending hundreds of thousands of dollars to develop – often fail within the first 18 months of being promoted. It is time to recognize that the practice of leadership development as we have come to understand it is dying. 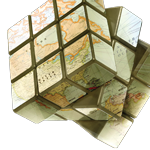 The question facing many of our companies around the globe is: what should take its place? How should we develop leaders in the future? And how do we accelerate our development efforts such that we are developing leadership faster? If leadership is a moving target then leadership development must also change over time. Failing to take courage to recreate the way we develop leaders presently will only result in our leadership functions getting better at creating that which doesn’t work – and won’t work in the future.